Yesterday, I was lucky enough to be invited to a special bloggers event with Wonderush, a new London company which allows you to try as many new things as you can for a monthly subscription fee of just £29. It's a pretty sweet deal. We started the day with a taste of salsa dancing, picking up some basic steps and then putting them into practice with our partners. I must admit to being pretty apprehensive about this particular class, as I have been known to be quite self-conscious in dance situations. I think it stems from always wanting to do things perfectly, and that can never be the case when learning something new. However, the instructor explained everything clearly and I ended up enjoying myself. After a quick snack and drink (the Wonderush team treated us very well), we sat down to take part in a life drawing class. I had long ago dismissed my drawing ability though was pleasantly surprised at the sketches I turned out. Our model was Chiquilovelovelove, a burlesque artist also treated us to a performance during the class. 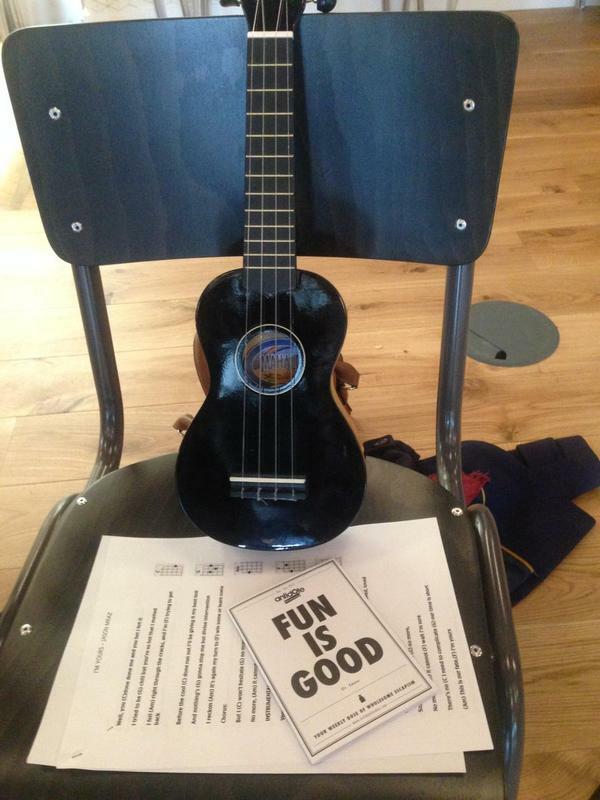 The afternoon began with a ukulele lesson courtesy of Antidote London. While we learned chords and contorted our fingers into unnatural positions, our fabulous instructor sang "I'm Yours" by Jason Mraz. I must admit, I was surprised how straightforward the lesson proved to be. Though once thrown off course on the more difficult chords, I just joined in the singing! The undoubted highlight of my day was the social yoga session put on by Creative Yoga London. After a week of high stress at work, I was positively balled up with tension and this session freed me of much of that, as well as encouraging us to share some of our positive energy with others in the room byway of some cooperative stretches. Our day was rounded off with children's games from Antidote London and general silliness. Overall, I found the sessions a great way to take me out of my comfort zone in a friendly environment which was encouraging and supportive of beginners. As a taster selection of activities it gave me a very good impression of what's on offer through Wonderush and I can't wait to try more new experiences! I left the venue buzzing and genuinely feeling as though it was the most fun I've had in a long time. Wonderush offers you the chance to take part in daily experiences without paying a penny more than the £29 monthly subscription fee (you can cancel at any time with 15 days notice). You can only take part in the same activity once in each month, but there is a huge range of fitness, wellbeing, entertainment and skills based classes to choose from! The great news is that if you're reading this and thinking you'd like to give it a try, you can have the first month for just £1 with my offer code: KATEONE. Many thanks to the Theatre Bloggers network for sorting out tickets for this event.